The Paranagama report, which was presented to Parliament on Tuesday, is relevant to the commission’s second mandate which is to inquire into violations of international human rights law during the last phase of the war, the period from January 01 to May 18, 2009. “In this report we have set out in detail how the international laws become applicable into these incidents,” he said. 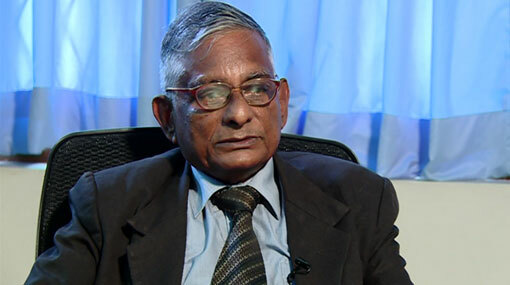 Thereafter we have set out in detail the incidents that occurred through both the security forces and the LTTE during the phase of the war and analyze them, he said. But there were a few incidents that were of very public importance, incidents like the Channel 4 video, the white flag case and surrendees going missing, Mr Paranagama. “Those are isolated incidents that may have occurred outside the activities of the war which we say they should be investigated in depth to come to conclusion,” he said. “We have applied that humanitarian principle proportionality and we have analyzed to what extent it can be justified in regard to the number that may have died and what the army achieved by doing so,” he added. “We have said setup a special High Court so that if some soldier is alleged to have committed crime may go before the High Court and proving his innocence by going through the process of law,” he said. “Putting into operation what we have suggested is not a difficult task.” We have recommended the process, he said. He stated that all the data and statistics the commission has analyzed point to a figure of about 7,000.